Hyper local Delivery Freelance Agents, Logistics Ecosystem, Tracking of Drivers easiest as the vehicles are already tracked but smaller vehicles and delivery agents are. Sales Manager can manage beat plans and reduce Expenses like Telephone, Reimbursement, Travel, people. Now Sales Manager can track their Sales Executive on one Screen. No way except CCTV and statements of people to know what is happening/happened.requirment of agencies and insurance companies, bosses, security agencies. Skilling on map - Locate, Select , Compare, Feedback, Book and Interview. Govt, training agencies, State Govt, Corporate and Individuals ..All connected at one point. 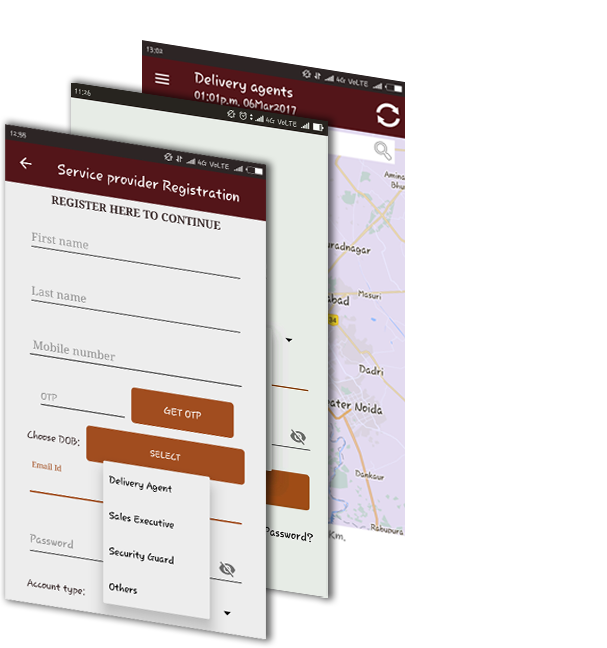 Complete solution of ZoDeliver is based on the GPS Technology of the Smart Phones. 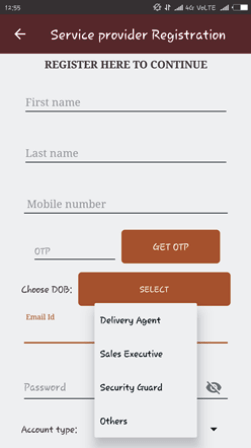 ZoDeliver App is very Easy to Navigate. All the options are on Palm. ZoDeliver offers Best Pricing for all the Service User's & ZoDeliver is totally free for Delivery Agent & Other Service Provider's. Venture started with an objective to offer End to End services/software solutions to value add and fulfil gaps/needs of Deprived People, Corporate & Household. 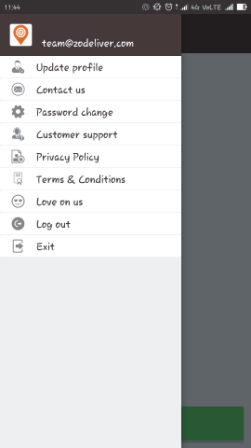 ZoDeliver App will not take much space of RAM of your Smart Phone. 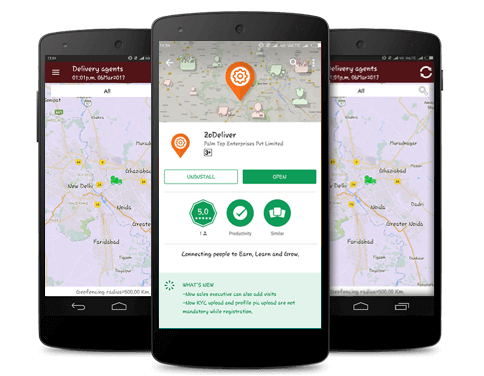 One is required to have a GPS enabled Phone with tracking/location activated and Minimum 3G Internet should be required in ZoDeliver Application. 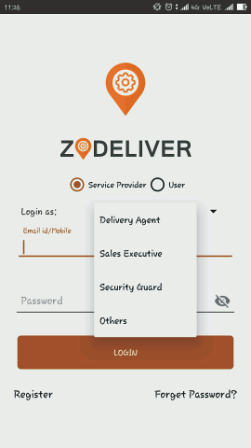 Yes, ZoDeliver App is useful for Business as well as Residential Purposes as you can Book Delivery Agents, Skille/Unskilled Service Provider's(Carpenter, Electrician, Plumber, AC Technician), Track your Sales Executives & Track Security Guards at on place i.e ZoDeliver. © Copyright 2017 ZoDeliver - Connecting people to Earn, Learn and Grow.